A soundtrack can really say little of the narration line of the film, which is in most cases true. You could never tell upfront that this film is about love of Michelle and Barack Obama – most powerful couple on Earth right at the moment. 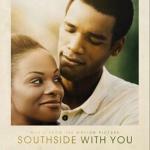 For example, A Love Like Yours by Martha Reeves & The Vandellas is like a mirror to all the songs of this soundtrack. They all tell of passion and love in their lyrics. It is like a big huge goodbye gift to two times president of the United States, one of the best presidents in the lifetime of the USA ever. He lead the country out of recession, bigger than 1930-ieth one and created several millions new work places throughout the country, which is huge! And in addition to being the first black president of the United Stated, he is a direct predecessor of another brand new president – a woman, Hillary Clinton, who is becoming one in just a few months, 2017. The only pop here, Miss You Much, is produced by Janet Jackson. Every other song is either blues, R&B or soul. And a song Moanin' and Groanin' presumably telling of their first night after their first date, which in a trailer is called ‘one of best first dates ever’. The film also reveals the character of a man, who in many years from this point becomes a president of the most powerful country in the history of a Mankind, which 50 years ago let the first astronaut on a Moon, which is wow!